Click Here to Apply for Shell LiveWIRE Nigeria Programme 2018. 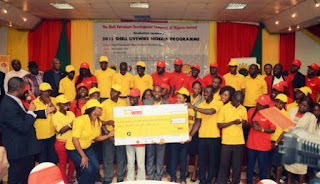 Shell LiveWIRE Nigeria Programme 2018… The Shell Petroleum Development Company of Nigeria Limited (SPDC), operator of the NNPC/SPDC/TEPNG/Agip Joint Venture (SPDC JV) announces the commencement of the 2018 SPDC JV LiveWIRE Programme targeting youths from host communities along Trans Niger Pipeline (TNP) Right of Way in Ogoniland. Application Deadline: 27th July, 2018.